Germany’s capital is also a football one, with a historic national stadium that hosted the Champions League Final in 2015. Regular tenants of the Olympiastadion, Hertha are frequent European competitors who can still pack this 74,000-capacity landmark for major Bundesliga games. This was also the stage for the 2006 World Cup Final, the venue where Zinedine Zidane famously headbutted Marco Materazzi before Italy picked up a fourth World Cup. The 1974 World Cup also kicked off here, Beckenbauer’s West Germany making heavy weather of a 1-0 win over Chile. The South Americans, who had qualified after the USSR withdrew for political reasons, were East Germany’s next opponents in a tournament full of undercover intrigue. 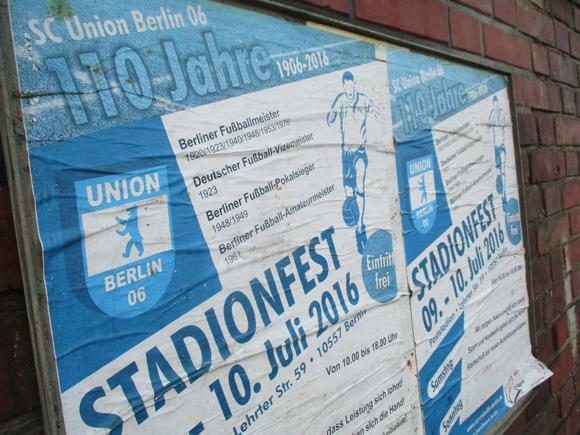 Berlin, a paranoid, divided city before Unification in 1989, would have been the perfect setting for the GDR’s following match – in which they beat West Germany – but that took place in Hamburg. Munich would stage the 1974 final but when it was Germany’s turn to be World Cup host again, in 2006, Berlin did the honours. Overlooked for Euro ’88 and 2020, Berlin could yet accommodate the final of Euro 2024, Germany and Turkey the only nations to bid for hosting rights. In footballing terms, the German capital was an early starter. Hertha can trace their history back to 1892. Fledgling clubs from Berlin won three national titles from 1905 to 1911. Two-time champions, Tempelhof-based BFC Viktoria 1889, are still around, and won the Berlin Cup in 2014. They play in the Regionalliga Nordost, whose composition reflects the Berlin’s patchwork football history. Division four for the north-east region – effectively former East Germany plus West Berlin – is where you’ll now find Berliner FC Dynamo after promotion in 2014. Divisional rivals Berliner AK 07 have climbed the league ladder to this respectable fourth level. 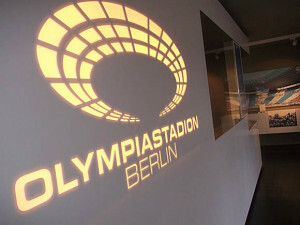 Their home is the venerable Poststadion, walking distance from the city’s central train station, Berlin Hauptbahnhof. The de facto national stadium for certain periods between the wars, the Poststadion has a strange footnote in soccer history as being the only ground where Adolf Hitler watched a football match. Sharing hosting duties with the Olympiastadion for the 1936 Games, this former postworkers’ sports club was where 55,000 gathered to watch dark horses Norway beat Germany 2-0 before going on to win bronze. One more name in the Regionalliga Nordost still keeps statisticians busy in the city’s football weekly ‘Fußball-Woche’. Former DDR-Liga stalwarts SV Babelsberg 03 are based at the Karl-Liebknecht-Stadion (‘Karli’) in Potsdam-Babelsberg on the S7 line at Babelsberg, 30mins direct from Berlin Zoo. ‘Nulldrei’ overcame near bankruptcy in 2003 to put in a serious challenge for Zweite promotion in the spring of 2013. Sadly, relegation to the fourth then followed. 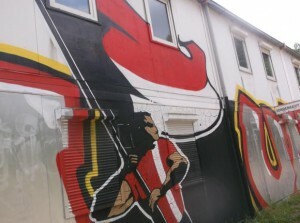 The club is also known for its fan culture, the Filmstadt Inferno 99 ultras linked to fellow left-libertarians St Pauli. Hertha themselves were once based in the working-class district of Wedding around which the Berlin Wall would be erected in 1961. It was here that residents jumped from their windows to avoid being caught on the wrong side. In the immediate post-war Berlin of Allied and Soviet sectors, Hertha were forbidden to play teams from what would become East Germany. These formed the Oberliga Berlin, and then the new DDR-Liga in 1950-51. Hertha’s city rivals were therefore Tennis Borussia Berlin, for a time the city’s second or third club, based at the Mommsenstadion in Berlin-Westend. Pre-war managers included later national team coaches Otto Nerz and Sepp Herberger. Currently TeBe are challenging for promotion out of the fifth-flight NOFV-Oberliga. Hertha moved into the Olympiastadion as one of the founding members of the new national West German league, the Bundesliga, in 1963. 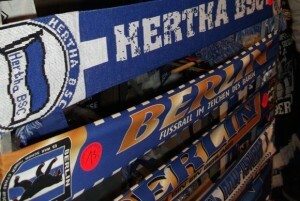 It was later discovered that Hertha had offered players undercover payments to come to this divided, paranoid city. The West German FA, keen to keep West Berlin in the football family, later made a point of hosting the national cup final and international matches here. Over in the East, BFC Dynamo Berlin came under the dubious patronage of the Erich Mielke, head of the hated secret police, or Stasi. 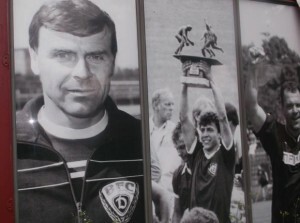 Mielke put pressure on referees to favour the flagship side from the East German capital. The so-called Schiebemeister, the cheating champions, won the national title ten seasons in the 1980s. Not even a genuine local working-class club, 1.FC Union Berlin, could match them. In 1972, Dynamo made the semi-finals of the European Cup-Winners’ Cup, losing to Dynamo Moscow – a case of the Stasi versus the KGB. 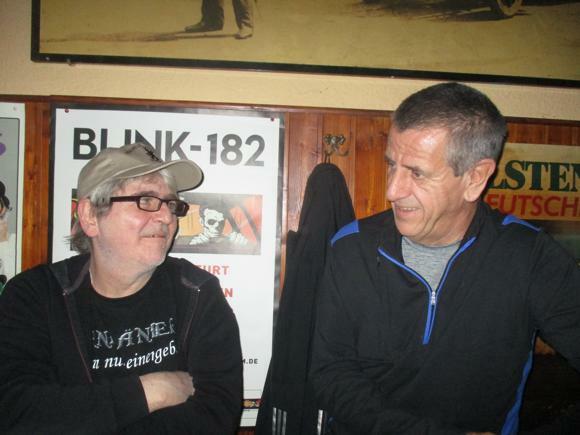 Union, meanwhile, are today Berlin’s de facto second club, with regular crowds of 20,000-plus in the Zweite. After 1989, the local football scene became a mix of discredited (often later reformed and/or renamed) clubs from the former East and teams that reflected Berlin’s status as the world’s fifth largest Turkish city. 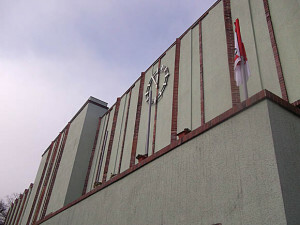 The most renowned has been Türkiyemspor Berlin, formed in the Turkish-influenced district of Kreuzberg, who play at Willy-Kressmann-Stadion by Viktoriapark. Their achievements should not be judged in terms of league points and silverware – or by the fact that the club is now in the seventh flight. Promotion of the Turkish and other local minorities has led to other Türkiyemspors being formed across Germany. Everything is gearing up for the city to have one main airport, Berlin Brandenburg in Schönefeld, 18km (11 miles) south of town. In the meantime, nearby Berlin Schönefeld, is the main point of entry for budget carriers. Other airlines use Tegel 8km (five miles) north-west of town – see here for information on all three airports. A short walk from its air terminal is Flughafen Schönefeld’s rail station. The Airport Express train (RB7 or RB14) runs every 30mins to Friedrichstraße (24mins) and Zoo (30mins). It’s €3.40 for a single or €7.70 for a day ticket, available from a city information desk just inside Arrivals or a machine below the platforms at the train station. The S-Bahn (line S9) is a slow way to get into town, via Ostkreuz. A taxi to Friedrichstraße should cost about €25, to west Berlin about €30. 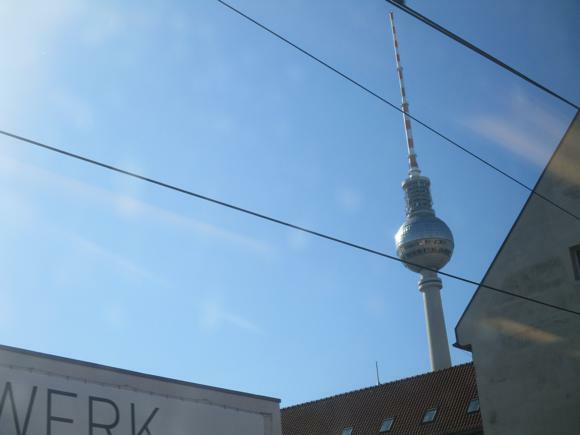 From Tegel, every 10mins the X9 bus (€2.80) goes to Berlin Zoo, the TXL to Alexanderplatz (€2.80), journey time 20mins and 40mins. A taxi should be about €20-25 to either. Berlin’s transport system of U-Bahn, S-Bahn and buses is divided into zones A, B and C, with zone A the city centre. A basic single ticket (Einzelfahrschein) is €2.80, valid for 2hrs and any number of changes if travelling in the same direction. A day ticket in central zones A and B €7. Machines are found on platforms – validate in the little stampers you’ll see alongside. Ticket checks are not unknown and the fines draconian. For hotel booking, contact Berlin Tourismus. Of the two lodgings close to the Olympiastadion, the mid-range Michels Apart Hotel Berlin with gym, sauna and access to the Olympiastadion pool in summer; and the family-run youth hostel Jugendgästehaus am Zoo, with €30 singles as well as doubles and dorms. Both are on Heerstraße, a short walk from the Olympiastadion S-Bahn station – turn left out of the station instead of right towards the stadium. One stop back to town by Heerstraße S-Bahn, bucolic Pension Rotdorn is a 1920s’ villa set in greenery. Shared-bathroom singles/doubles are a steal. One-night stays charged extra, though. Near Charlottenburg S-Bahn, so convenient for the Olympiastadion, the Hotel Panorama is a wonderfully old-school cheapie. 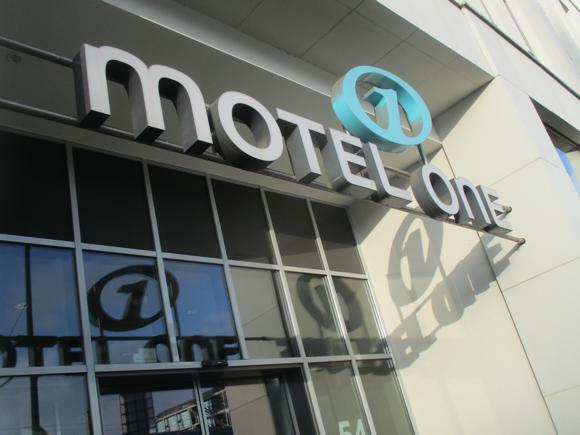 For the Poststadion and the central train station, Motel One Berlin-Hauptbahnhof is one of a handful of eminently affordable and stylish lodgings in town, in a chain expanding across Germany. Cheaper and closer to the stadium, the newly built A&O Berlin Hauptbahnhof is part of another handy chain that offers hostel and hotel stays – at hostel prices. For somewhere comfortable and central, the Riverside Royal Hotel & Spa offers spa pleasures five minutes’ walk from Friedrichstraße station. Handy for transport links to Kreuzberg and Schönefeld Airport, the Hotel Klee provides a spa, relaxation terrace and a slap-up breakfast. With 24-hour drinking and a bar on every corner, there’s no better city in Europe to sink a few. The classic venue is the Eckkneipe, an age-old local hostelry, but you’ll also find postmodern lounge bars, pubs serving Berlin’s huge expat community and football-focused beer gardens. Contemporary Schwalbe is a football-mad spot offering quizzes, screenings and three table football tables downstairs. Cast your eyes away from the images of Zico and Chivadze in 1982 action, and you’ll spot a tell-tale Geißbock pennant – Kölsch is the beer of choice at this Köln-friendly outlet. The name and swallow motif refer to the German slang for a penalty dive. Evenings only weekdays. 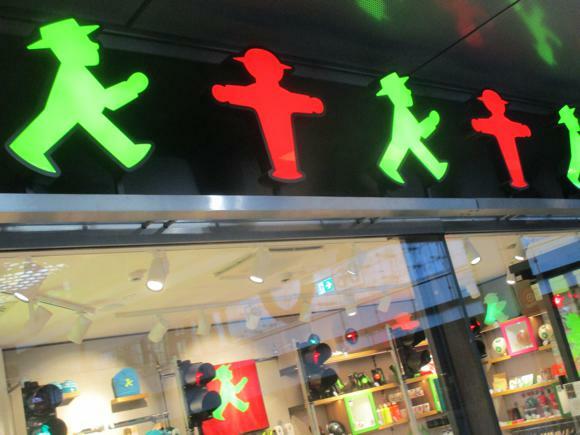 Equally hip, ex-hangout for Mönchengladbach fans, FC Magnet screens games to a savvy, urban crowd. Decorative priority is given to its pub team. Behind Alexanderplatz, The PUB Berlin is the local branch of this expanding Czech chain based in Plžen – here pour-your-own Berliner Pilsner competes with Krušovice at tables set before a huge screen. For a more Irish-style pub, Murphy’s has two branches, one at Schiffbauerdamm, the other Checkpoint Charlie. Near the old Hertha stadium in Gesundbrunnen, the Offside Pub & Whisky Bar also offers TV football. Also at Gesundbrunnen station, Bierbrunnen an der Plumpe is a classic Hertha spot. 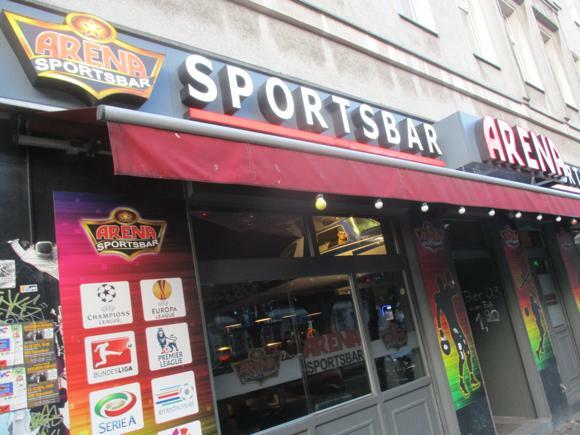 With ten locations across the city, the Arena sports bar chain provides banks of TV screens, a fully stocked bar and betting facilities. 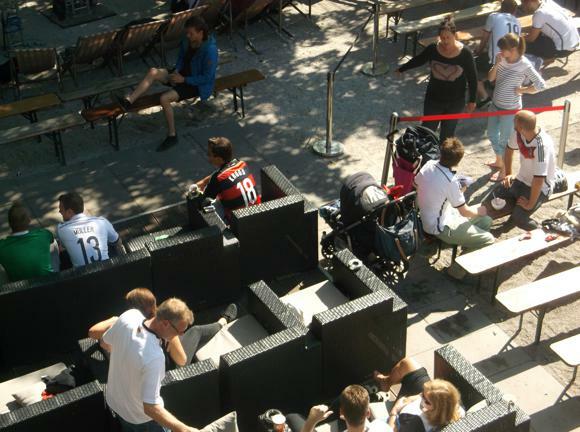 In Kreuzberg, pub-like Vogt’s Bier-Express goes big on big-match broadcasts. 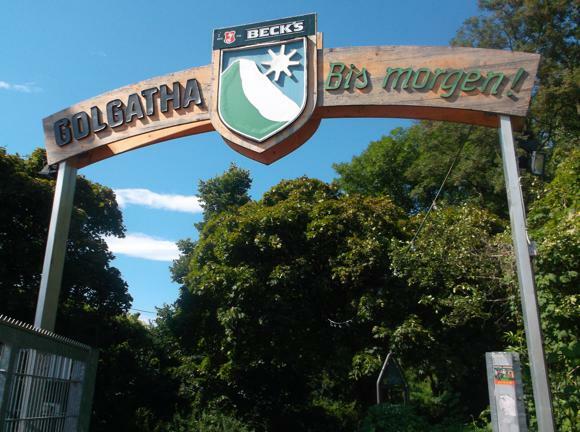 In spring/summer, cult beer garden Golgatha in Viktoriapark is another handy choice in the area. Music-focused Bar 11 is equally fussy about its TV football, as is the nearby cultish Milchbar. The Pinguin Club (Wartburgstraße 54) is an age-old cult spot whose barstools are turned towards the screen on big-match nights. Pub team Polar Pinguin Berlin put in a serious challenge for promotion from the Kreisliga A St 2 in 2017-18. A more mainstream but nonetheless passionate football-watching experience is provided by Puschel‘s Pub (Potsdamer Straße 112). In Charlottenburg, The Harp is a handy find, with plenty of football action. If you’re flying out from Schönefeld airport, Kilkenny screens sports TV near the departure gates – Jogi Löw pops in for a quick one on his way to Switzerland.